Carlos Gil knows that when a chief executive gets up at an annual meeting and says the macroeconomic environment was a problem for their company, that is a classic red flag for investors. The Microequities Asset Management founder says “have no doubt, if that happens, you are across a mediocre business”. Gil decided to be a fund manager when he was a 16-year-old student investing his savings of $2000 in a private hospital operator. He didn’t buy a car until he was 35 years old (a Hyundai) because he kept putting all his money into investments, he says, describing his philosophy as “frugal”. The Microequities flagship fund started in March 2009; it has recorded an average compound return of 26 per cent a year for the past eight years, after fees. The fund has a position in Smartpay Holdings, a payments processor targeting small businesses. “It’s really interesting, they’ve got a big share and are a significant player in New Zealand, and basically unknown in Australia because the regulatory barriers are different.” That could change with the imminent opening up of the market to providers that don’t hold a banking licence. Microequities owns more than 5 per cent of the Smartpay register. “They’ve had one arm tied behind their back,” Gil says. “Smartpay we think is going to have a number of significant competitive advantages in terms of their product offering.” It is also “highly undervalued,” he adds. 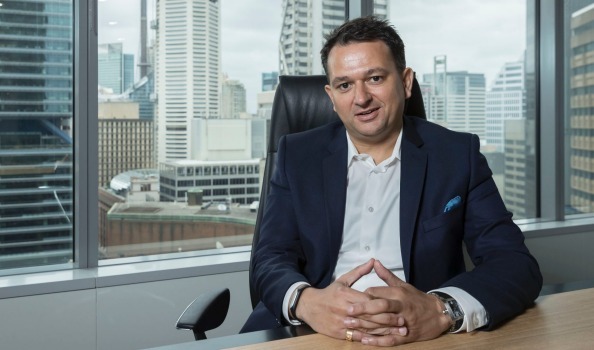 The fund manager has emerged a voice in the the battle for Hunter Hall International owning close to 5 per cent of the ethical investment manager’s shares. Gil trimmed his stake in January after founder Peter Hall’s exit but says his position is still profitable for the fund. He thinks the company is strongly positioned. His point is that a value doctrine affords investors protection from unforseen risks. “The fact that there was a heightened element of risk, that’s what we took into account,” in reducing the Hunter Hall position. “Whether we’re buying 1 per cent of a company or 20 per cent of a company it is tantamount to a business partnership. When you embrace that what that necessarily does is take you on a long term investment journey, because if you think about being proposed a business partnership you never contemplate entering that for six to 12 months. He likes Webjet, having owned it for a long time, and the bought M2 Communications when it was a $40 million market cap stock that went on to a massive merger with Vocus. Webjet “still has tremendous growth available to them”. Microequities asset management has been specialised in Microcaps for over 10 years. We invest in ASX listed companies with a market cap below $300m and global listed companies with a market cap below US$300m. 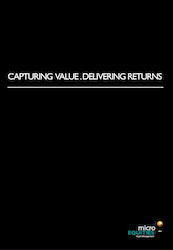 We are long term value investors looking for highly undervalued businesses that should meet a very demanding investment criteria from our Microcap specialist investment team. We manage funds exclusively for wholesale & sophisticated investors as defined by the Corporations Act 2001.